This is a story. 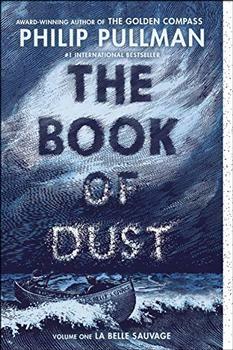 In this ingenious and spell-binding retelling of the life of Jesus, Philip Pullman revisits the most influential story ever told. Charged with mystery, compassion and enormous power, The Good Man Jesus and the Scoundrel Christ throws fresh light on who Jesus was and asks the reader questions that will continue to resonate long after the final page is turned. For, above all, this book is about how stories become stories. The information about The Good Man Jesus and the Scoundrel Christ shown above was first featured in "The BookBrowse Review" - BookBrowse's online-magazine that keeps our members abreast of notable and high-profile books publishing in the coming weeks. In most cases, the reviews are necessarily limited to those that were available to us ahead of publication. If you are the publisher or author of this book and feel that the reviews shown do not properly reflect the range of media opinion now available, please send us a message with the mainstream media reviews that you would like to see added. Philip Pullman was born in Norwich on October 19, 1946 to Audrey and Alfred Pullman. The early part of his childhood was spent traveling from base to base as his father, and later stepfather, were part of the Royal Air Force (RAF). At age seven, following the death of his father, Philip and his younger brother Francis moved back to Britain to live with their grandfather in Norfolk, an Anglican clergyman. Their mother moved to London to find work.